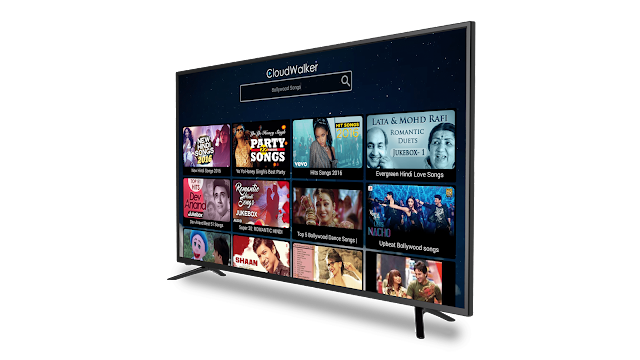 Delhi, March 02, 2017: CloudWalker Streaming Technologies, a tech start-up creating digital ecosystems for large format screens directly through smart TV or through conversion of existing TVs into smart TVs, is launching what can be described as ‘The Smartest Smart TV’ ever, the Cloud TV. CloudWalker developed its own User Interface powered by a CDE (Content Discovery Engine) which curates digital content available on the internet on Free, Premium or Freemium basis and also helps discover Apps that can be viewed on TV. 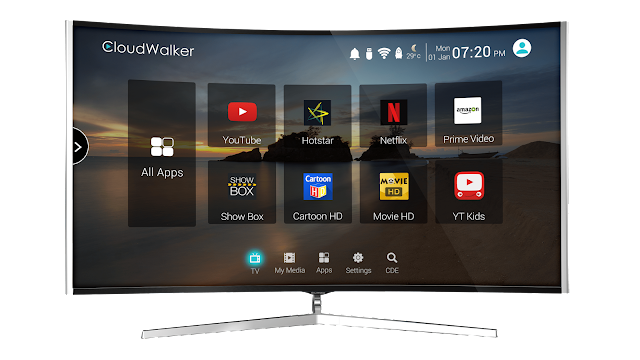 Armed with a unique UI which offers “Screen-Shift” method to toggle between Live TV and Digital TV, CLOUDWALKER ultimately aims to enable every home to enjoy digital content on their TV. 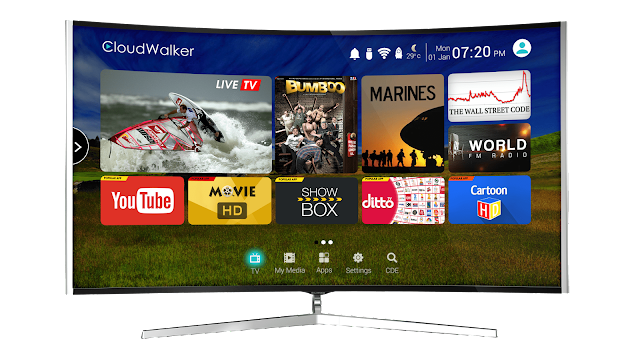 Available in Curved & Flat models with 4K UHD, Full HD & HD resolution, the Cloud TVs have been designed to offer digital content directly on televisions without the customer having to go through changing ports or cumbersome menus. The all-rounder Cloud TV will be exclusively available for purchase only on Flipkart from 3rd March, 2017 onwards.